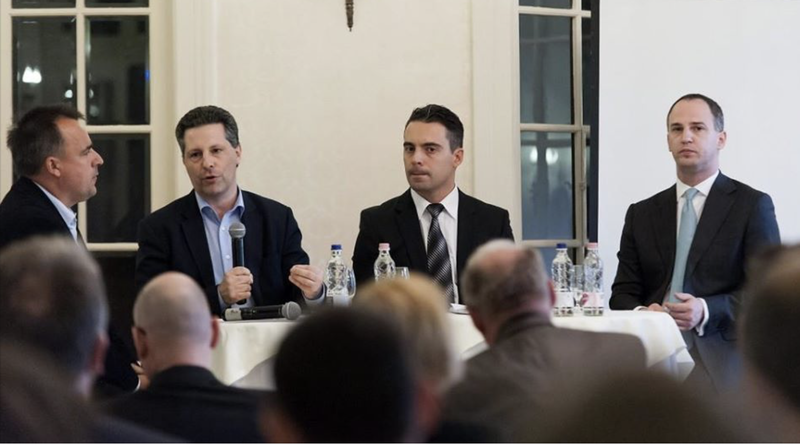 From left to right: Gábor Török, András Schiffer (LMP), Gábor Vona (Jobbik), Viktor Szigetvári (Együtt) in 2013. True to his words, Gábor Vona resigned as chairman of Jobbik on Monday. The founder of Hungary’s radical right-wing party who attempted to remake Jobbik as a center-right peoples party, explained his reasons for doing so in two Facebook posts. The editors of the Budapest Beacon appreciate former Jobbik chairman Gábor Vona’s genuine attempts to reform his party, in part by expelling its more radical elements. We were most impressed with the poise he exhibited Sunday night delivering what must have been one of the most difficult speeches of his life, and with the measured tone by which he acknowledged his party’s defeat in the general election. We are inclined to agree with him that at stake in the election was not stopping inbound migration (which the government actually encourages, its xenophobic rhetoric notwithstanding), but rather the outbound migration of hundreds of thousands of Hungarians in search of a better life in the years to come. We thank him for his service to his country and wish him well.